Objective: To give students exposure to real-world reverse-engineering, production project. Instructions: You will be given a unique EVA foam gasket. Do a hand sketch of the gasket. Do this carefully as it is the “draft” version of your working drawing. 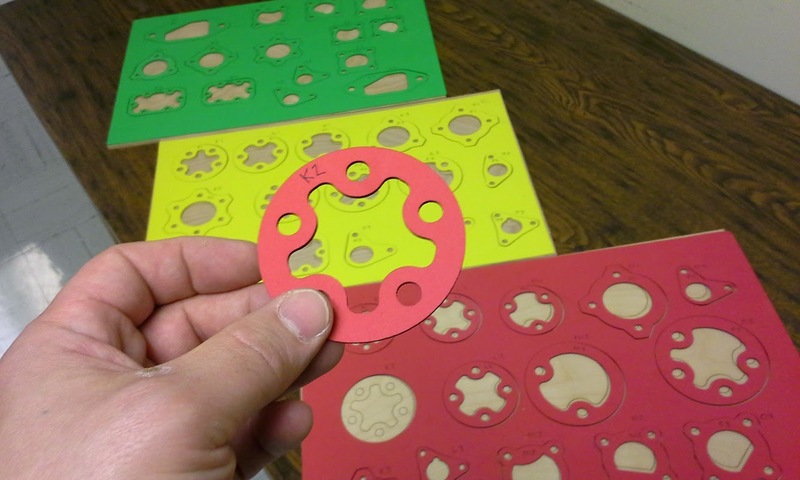 Now make measurements of each element of the gasket. You will need to be able to measure angles, radii, and distances. From your sketch, create a fully dimensioned working drawing in AutoCAD. Use the border provided. You can print the drawing full scale to see how well you measured the gasket (see your instructor to verify the printer is printing properly). Be sure your drawing includes the letter-number code that was on your gasket. Turn in your gasket with your working drawing. Be able to read a working drawing. Be able to mark up a drawing that is incorrect. Instructions: You be given a print done by another student. Use this drawing (printed copy only) to draw the gasket. If there is information missing, you must mark up the print to ask for the information you need. If there is redundant information, you must mark that out as well. You will be graded on how professionally you do this. YOU MAY NOT GET THE INFORMATION YOU ARE MISSING VERBALLY. If you ASSUME anything along the way you are asking for trouble! All changes and clarifications must be DOCUMENTED. If your drawing is returned to you for correction/revision, your evisions must be done by the following class period. Your AutoCAD drawing must contain two layers 1) OBJECT – the layer of the actual, theoretical geometry and 2) LASER – a toolpath that is offset to accomodate a .020 overall kerf width. Turn in your completed file on KLATU. Your file must have the file name LASTNAME_A1_LASER.dwg where A1 is your gasket’s alphanumeric code.